Hello guys! I'm Jarrod, and since I'm already partaking in the Pokemon Platinum Hunger Games Randomizer Nuzlocke, I figured that now would be a good time to do my own nuzlocke, but with the 5th Generation instead. There's an added bonus of having Spring Break next week as well, so I can focus more on it than I would had I started this earlier. - Why Generation 5/Why not Black 2 or White 2? Well, I think Gen 5 gets a lot of bad rep for no reason (that you can't also apply to other generations, like bad designs or too many legendaries). The plot is excellent, and a lot of the Pokemon are good objectively and cool in my own personal opinion. As for choosing this instead of B2W2, I wanted to strictly limit myself to Gen 5 Pokemon only, so I didn't want to run around and see Mareep or Riolu in the wild. Defeats the purpose in my view. It also can allow theoretically for the Weather Trio as early as Level 10 and that wouldn't really be fair. - What rules will you be implementing for this Nuzlocke? There are so many optional ones! 1. The player may only catch the first Pokemon they find on any given route, and may not go back to catch another one. The only exception is Species Clause. Species Clause in a Nuzlocke means if you've obtained a Patrat (for example) on Route 1, and your first encounter on Route 2 is also a Patrat, then you are allowed to find the next Pokemon as your encounter instead of having duplicate Pokemon, because that just isn't fun. 2. Nicknames. This might not be the most necessary rule for a Nuzlocke, as that's not the main focus of the challenge, but I will implement it anyway. Nicknames can be used to give a more personal attachment to your Pokemon. Nothing more, nothing less. 3. Any Pokemon that faints is considered dead, and no longer usable. Part of the enticement about Nuzlockes is the focus on keeping your teammates alive. Because if you die in real life you typically don't get a second shot, right? So that is the logic we follow here. And they must be put in the PC box never to be seen again or released. The only time I think I will allow a resurrection of sorts is if I encounter a Shiny and catch it. It will ignore the first encounter of a route as well. I don't personally expect to need to implement this because of the low chance to encounter a Shiny, but still. 4. Limit on the number of items I can buy at a Pokemart. This one is another optional rule in a Nuzlocke, but to make it even more of a challenge, I won't just be able to buy a bunch of Potions, Full Restores, repels, etc. Only TEN items per city. Because why not? 5. No trading for other Pokemon. You may only use the Pokemon you physically obtained yourself. The only exception is if I were to catch a Pokemon that evolves by trading only, in which case I'd be getting it back instantly anyway. 6. If I faint and white out/black out, that is GAME OVER. No matter how many Pokemon I have left in my box ready to use. Losing my current party loses me the game. 7. Game over/encounter rules will only apply when I obtain Pokeballs and can catch my own Pokemon. Thankfully, in Black and White, you get Pokeballs before that part can even be an issue, but there will be mercy at the very beginning in case I lose to Cheren or Bianca. 8. Will ban the use of Legendary Pokemon such as Cobalion, Thundurus, and whatnot. The only Legendary I can actually capture and use is the cover legendary Zekrom, because the game kinda forces you to. 9. The max level I can go will be determined by the level of the next Gym Leader's strongest Pokemon. This will act as a checkpoint and level cap of sorts so I don't get too strong. 10. Gift Pokemon such as the Elemental Monkeys/Fossil Pokemon will not count for that route's first encounter, since they were gifts and not captures. And there you have it! As soon as I start the actual challenge itself I will post updates after each gym has been beaten, or maybe after each major rival/N/Team Plasma battle has been done. Not every single one of those battles will be update worthy, so I will update at my discretion. Will I be able to sponsor you throughout this Nuzlocke? - I started with Oshawott (Kilza). Beat Cheren and Bianca. - Obtained Pokédex, and then Pokeballs. - Missed my first encounter, a Patrat. - Beat N for the first time, and received the XTransciever on Route 2. - Captured a Purrloin (Larxene) on Route 2 and beat Bianca again. - Went to the Dreamyard and obtained a Pansear (dummythicc). - Trained up my team to 12 all around. - Cilan’s Lillipup KO’d Kilza the Oshawott (1 Death). Deafeated Lillipup with Larxene. Beat Pansage with dummythicc the Pansear and obtained the Trio Badge From Cilan. First checkpoint was a little rough, but I honestly didn’t want to use the stereotypical starter for my playthrough because it’s kinda boring. Also grinding in the early stages of BW is an ungodly pain because of EXP. For some reason BW based it off of level difference and it makes it increasingly difficult to level up without EXP Share. But will continue later. Kilza the Oshawott nooooooooooo. You were too good for this world. @BasedJarrod Just letting you know I merged your two most recent posts together. Don't forget that double posting within 24 hours is against the rules of the forums! Stinks about your Oshawott. I've never used either Purrloin or Pansear, but I hope they do well for you! @Typhlosion thanks bruh. Will be more patient when posting in the future. I'm unsure what it is but the massive frowning Kilza in the death box is breaking my heart. It looks so sad. i thought the same, Oshawott looks so sad ;o; Purrloin is interesting, i'm happy to see it in your team ^^ hope it does well! - After obtaining the Trio Badge from Cilan, Chili, and Cress, I go to the Dreamyward at the request of Fennel, where I fend off some grunts who have a Patrat and Purrloin, and I catch myself an Audino (named Medic). - I continued my journey to Route 3, where Cheren was waiting for me again. He wanted to check my team after obtaining my first Gym Badge. -Afterwards, Cheren and I see two Team Plasma Grunts appear and run off into Wellspring Cave, with Bianca and a little girl not too far behind. Bianca reveals they took the little girl's Pokemon, so Cheren and I chase after them. -And then a Double Battle with two more Grunts with the exact same Patrat each, so shall not be posted again. -After that fiasco is settled, I'm left to my own devices. I catch a Woobat (promptly named "uwubat") in the cave, a Patrat on Route 3 (which faints soon after because blah), and head to Nacrene City. -I meet with Cheren yet again, who directs me to the Pokemon Center and gives me Chesto Berries. After that, I go to outer Pinwheel Forest (which for encounter's sake will not count the same as inner Pinwheel Forest). I get the Rock Smash TM, and I catch a Throh, which I name "Mario." -And now I grind up my team to around 18 or 19 to take on N and then the Nacrene Gym! Patrat, you're trash. Get out of my sight. Thanks for patiently following along. Would have has all of this and more finished over 12 hours ago but had a rough start to my day with another challenge run I'm in. EDIT: As a personal side note, I'm really happy to be using these Pokemon so far. Swoobat never disappoints, Simisear is one of my favorites from the Gen, despite it being the least popular Pokemon of all time, and I've never gotten the chance to use Throh and Audino in a legit playthrough of a game before, so I'm hopeful. Throh has Guts and an attack boosting nature, so it's set to be a real powerhouse should I make it to the later stages of the game with it. Purrloin has been pretty underwhelming so far, not gonna lie, but now it has STAB Pursuit so it can start dealing some decent damage. EDIT: Another note, Throh will be one of the few I put any effort properly EV training into, so I really want it to perform well. Now that I'm done grinding and I'm not busy, I can update once again and finish this checkpoint. -I maxed out Throh's Attack stat through a slow grind on Route 1, and then I spent some time raising my team (as a whole) to 19, just one level under the cap of 20 set by Lenora's Watchog. -I headed back to Nacrene City, where I head to the gym. To my surprise, I am stopped by none other than N, who hypothesizes about truth and ideals to shape a better world. He claims to want to hear the voices of my Pokemon again, so he challenges me to a Pokemon battle for the second time. - I beat N pretty handily, and as he leaves, he realizes his answer lies in Reshiram, the White Dragon of legend. - After getting a tour of the museum portion of the gym, I head deeper inside to figure out the puzzle of books and trainers. After a few trips to the Pokemon Center (thanks Purrloin, for dying to some bs because it's weak), I go face to face with Lenora, the leader of the Nacrene Gym. - My strategy for this battle was to preserve Throh for the end of the battle so it didn't get Intimidated and also didn't swtich directly into an attack. To deal with this, I sent out my second bulkiest Pokemon, Audino (Medic) to spam Growl on Herdier to lower its Attack to the bare minimum whilst it whittled its own HP down with Take Down (which led to Lenora actually using a Super Potion on it early and not Watchog). Herdier was down to low HP, and then after healing I went for a few Doubleslaps on it. Herdier barely survived and then got a crit with Take Down, causing Medic to need a Medic if you catch my drift. So I switched in Woobat (uwubat) to finish it off with Confusion. -I switched in Throh when I was prompted to switch, and this was the part of the battle I was super concerned with. I knew that with Throh's bulk (and small investment into HP and Defense) I would live a boosted Retaliate (140 BP, btw) and be able to KO back with Vital Throw. However, instead of going for that move, Watchog ended up just going for a Leer instead, causing a VERY underwhelming end to the second Gym Battle. It shall not be understated, though, that I still lost Purrloin AND Audino going in to this. But I have an encounter in Inner Pinwheel Forest awaiting me to make up for it. Poor Audino and Purrloin. > < Good job on beating the second gym though! Retaliate is a scary move this early on in the game. I really like how your team is all Pokemon you don't see used often. Woobat has potential with that Timid nature, too bad it has Klutz over Unaware. - After obtaining the Basic Badge from Lenora, her husband comes in and we get dragged into another mess by Team Plasma, who has now stolen the Dragon Skull from the museum. We make chase to Pinwheel Forest after Burgh comes in to help. - I catch a Petilil (named "Darude") on my journey, as I battle along and beat various trainers and Grunts. - I catch the last Grunt deep in the forest as one of the Seven Sages appears and forces the Grunt to return the Skull, citing its uselessness. Lenora and Burgh follow closely behind and chase them off. Lenora gives me the Moon Stone. I don't plan on having a Munna in my party, but cool. - I run down the Castelia Bridge thing, which always has nice music to it and a nice view, making the journey more bearable. - After I make it to Castelia City, I go to the left corner pier and talk to the scientist, who ends up giving me a Fire Stone for my Pansear. Will be useful later after I've gotten more level up moves on it. - I head to the Gym to find out the Cheren had just beaten it. He heads to Route 4 to catch more Pokemon, and Burgh bolts out not too far behind. He gets me to come to the middle pier, where we are introduced to Iris for the first time, who is with Bianca. Team Plasma stole her Munna. Probably wouldn't have happened if Lenora gave HER the Moon Stone, but what do I know? - Instead of going straight to the Team Plasma hideout, I go to Route 4 and catch myself a Sandile (Sandy). I do, after all, need one for Nimbasa City in the near future. - I now go back to the hideout and Burgh and I flush out the Grunts. We go inside, as well as do Iris and Bianca, and we come face to face with Ghetsis of the Seven Sages, and two other Sages behind him. They release Munna back to Bianca and leave, and then I go to do some training in the Battle HQ. There, I face off against a trainer with a Herdier, who after a while and RNG not being on m side after a few Sand Attacks, KO's Sandy the Sandile. I leave soon after talking to the guy who gives you Quick and Timer Balls. - My team (aside from Darude) are all sitting at level 22-23 as I enter the Castelia Gym. The puzzle is super easy, and I end up skipping 1 or 2 of the trainers along the way, quickly making my way to Burgh. I beat him with next to no problem with my newly evolved Swoobat (uwubat) and dummythicc (Pansear). - I beat Bianca at the gate to Route 4, and Cheren soon after that. I head to the Desert Resort where I catch myself a Darumaka (Supa Hot), which is Jolly w/ Hustle. Will be nice if I need to replace dummythicc. Then in Relic Castle I catch myself a second Sandile (Sandy 2, because I'm original). -Next up on the agenda is to finish EV training Mario, and then grinding up some more to around 26-27 so I'm not screwed against Elesa. Ya know, I don't mean to lose a Pokemon every checkpoint, but it is what it is. I want to save Petilil for some real EV training, but it'll have to wait until I get the Vitamins with BP from the Nimbasa Subway. And I'll see what moves I have left to learn for Pansear and then evolve it. Elesa is next on my list. oof, sad deaths. Good luck, Jarrod! I've never seen Throh being used. Though to be fair the only gen 5 playthrough I really remember was Dino's, so maybe it's not too uncommon either. Nobody I know has ever bothered to use Pansear/Panpour/Pansage past the first gym. Best of luck! Also I'm puttin my monopoly money down now and saying that Swoobat is gonna last til the end. These things happen, maybe it'll be super useful? Who knows! oof, sad deaths. Good luck, Jardod! I’ve been wanting to use it for a while for fun. Can’t say I’m being disappointed so far honestly. That's good. Also, I like the names you're using for your Pokemon. - After getting to Nimbasa City, I fend off some Grunts that were harassing the Day Care Man outside the Battle Subway. And then I obtain the Bicycle for my efforts! Just before I enter the Subway and mess around in it, I obtain the VS. Recorder to record battles. Yee haw. - I am forced to the Nimbasa Musical, where I dress up Darude in a cute pink bowtie and a black cane. - I get a streak going in the Subway on the Singles Train, and use it to buy Calciums for my Petilil (aka Darude). I even head to Anville Town and get free Rare Candies from one of the attendants in a house, which also end up in Darude's belly. - RIP Darude in the Big Stadium in Nimbasa City. - I skip Route 16 and and head to Lostlorn Forest in attempts to catch a Leavanny. I encounter Leavanny, and use uwubat to wear it down with Assurance, Heart Stamp, and Confusion so I can catch it. A Bug Bite and Razor Leaf took me to ever-so-slightly below half health, so I thought I'd be fine and didn't switch out. However, and this is the real kicker, a second Bug Bite does me in. Rip uwubat. I end up catching Leavanny and name it "mama spode" but at this point my motivation was drained because I really liked both Petitil and Swoobat and they both died to some bs. This was the reason the update didn't go up a day earlier. - I head to Route 5 and catch myself a Minccino named "creacher" which goes directly to the PC box. - I decide to pursue the Plasma Grunts who ran to inner Nimbasa City, and end up at the Ferris Wheel with N, who rides with me. During this ordeal, he reveals to me the he's the King of Team Plasma and Ghetsis asked him to work together to help save the Pokemon of the Unova Region. Then the Grunts appear, but N tells them to leave as he held me off with a battle. - After I beat him, he reveals his plans of taking over the Elite Four to realize his plan, telling me to get the Gym Badges and stop him. Challenge Accepted. - After I finish training, I head to the Nimbasa City gym, going in with Sandy 2 because it was my Electric immunity. Only safe way to beat the trainers and Elesa. Proved a lot more difficult than expected, because ALL of the Emolga's in there had Static (and were part flying, so I only had Assurance) and Aerial Ace, so multiple turns in a row were spent healing and using Paralyze Heals and the like and using Torment so they couldn't spam it. But Sandy 2 did survive all of that on the way to Elesa. - Strategy had to remain the same, except the first two turns were started with X Defend and X Attack so I could speed through the battle more (thank god for Moxie as well, btw). Sandy 2 swept through the whole team with relatively no problem. - Side note: Very odd that there's no one from the Joltik line, Tynamo line, or Stunfisk. It's ALL Emolga or Blitzle line. - Afterwards I healed up, got the Payback TM from Route 16, and went back to Route 5 where I battled Cheren and then teamed up with him to take on kids that Alder forced onto us after meeting him. Pretty easy battles at this point. Throh is a monster, Simisear is great, Leavanny is pretty good for now, but the 4x weaknesses are very troublesome. Solosis has Light Screen, Recover, AND Charm, meaning it has nice utility. 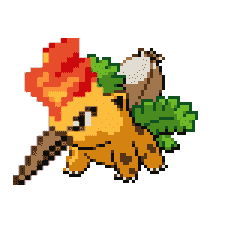 Sandile will very soon evolve to Krokorok, so it'll finally be more powerful. Darumaka will be more important later I'm sure, but haven't needed it yet. Might replace later if I can get my hands on a Litwick. - I have work the next two days and am back in school, so hopefully I maintain a regular upload schedule. Big oof, I know it can be rough to lose two of your favorite Pokemon in one update like that. However, you did beat Elesa, so you're still going strong. Hope that Leavanny can make up for the loss somewhat! Also, I agree that it's weird that there's only Blitzle and Emolga in the Nimbasa Gym. At least they fixed it a bit in BW2, adding Flaaffy and Joltik to the roster. Wow, sorry about your losses. Such great nicknames, such great Pokemon. Good luck going forward; between Throh and Leavanny you shouldn't have much trouble against Clay. You can do it Jarrod! (should I nickname you Jardod tho :p) Even though you lost some pokés you still have other good ones! Dang. Swoobat can be amazingly fun and trolly (my friend beat a STEELIX with one by haxing it to death), shame yours is already gone. Oh well.